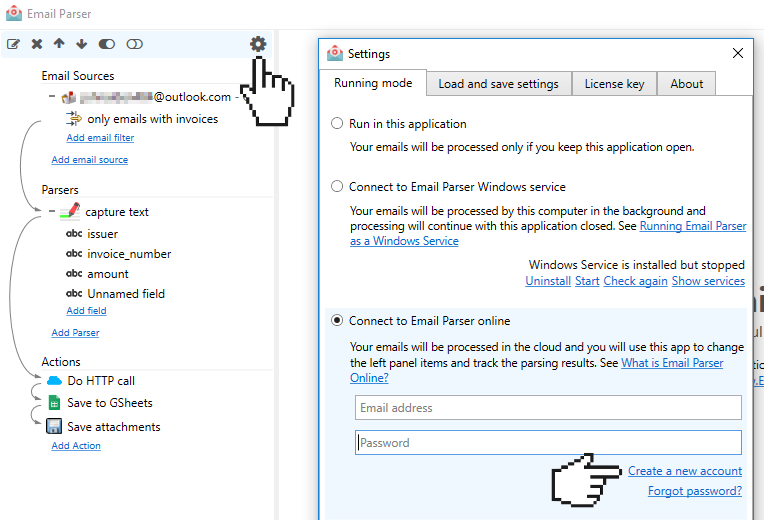 If you want to automatically process your incoming emails 24 hours per day without keeping your computer on, you can use Email Parser online. 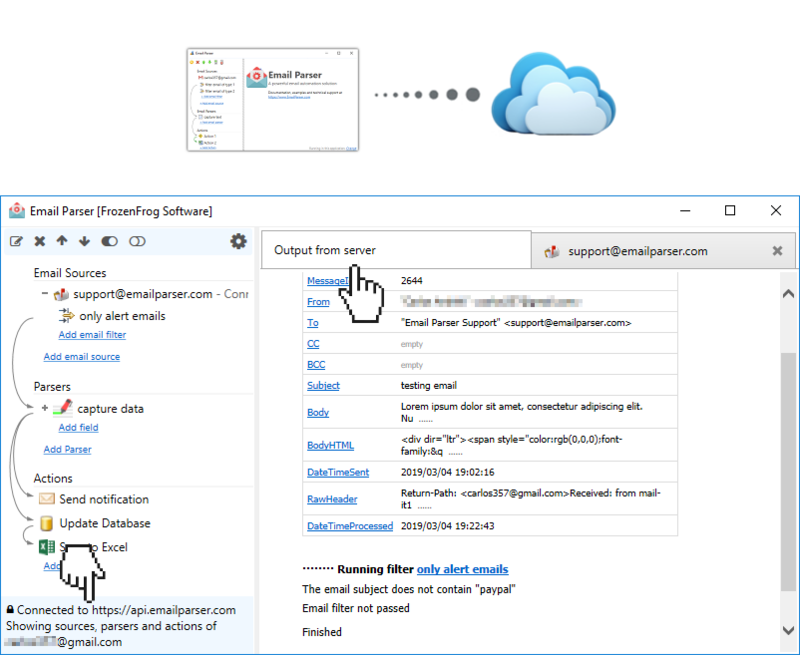 In this running mode your email sources, parsers and actions are saved and run in the EmailParser.com servers. Do I need to keep the application open? No, the application is only used to see and update the configuration of your account at the server, once Email Parser works as you expect you can close the application. You can even uninstall it and turn off the computer, the server will continue processing your incoming emails as configured. No, at this moment all the interaction with the server is done through the app. However, creating a web app is something we have in the road map. The first 30 days of use are free. Once the trial period is finished a monthly fee will be required. Does it require a license key? No, a license key is not required to use Email Parser online. The application will not ask you for a license key in this running mode. Account creation is done under the application. Go to Settings, then select the Running mode tab and then click on “Create account”. If you uninstall Email Parser your emails will continue to be processed as your configuration is still on the cloud. If you want to stop this you need to delete your online account through the settings window inside Email Parser before uninstalling the app.